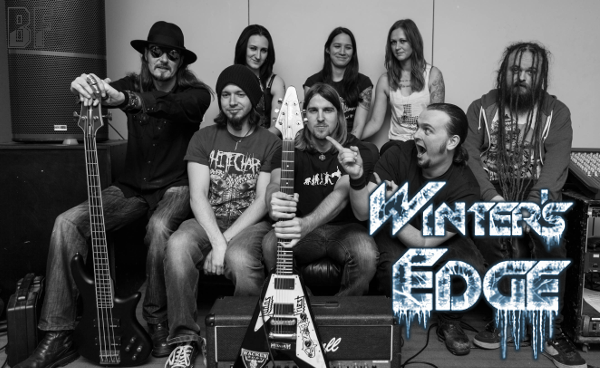 British Progressive metal act WINTER’S EDGE is a project band consisting of eight talented musicians. 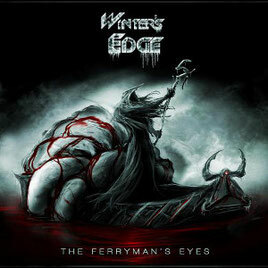 They have released independently their first album entitled "The Ferryman's Eyes" which is a concept album based on the story of The Ferryman, on September 29th 2014. Recorded by Pete Lancaster at Airtight Studios, edited & mixed & mastered by Marc Wustenhagen (Thunder And Lightning) at Dailyhero Recordings and produced by Jeremy Lawler. They are offering Powerful, Heavy and Epic metal along with screaming and Thrash sound, developing through classic-rock influence. WINTER’S EDGE will appear as a special guest act at the Metal Temple Festival next March in Brighton (UK), which will be their first festival to perform. They also will tour in March with German Power metal band Thunder And Lightning in the UK and Javelin in amongst Germany and the Netherlands.